These programs are not meant to take the place of on-the-ground monitoring and management, but they provide tools for the rancher tool kit to assist in the adaptive management of rangelands. Photo credit Troy Walz. As technology improves and continually moves forward, more and more information can be gathered remotely to make informed decisions on Nebraska's farms and ranches. Remote Sensing is the science of obtaining information about objects or areas from a distance, typically from drones, airplanes, or satellites. Since the 1970s, the Landsat satellite program has collected earth imagery data. Current satellites with this program take imagery and sensor data from earth's entire surface once every 16 days. A number of sensors collect information including natural color, near infrared and thermal information from the earth’s surface. Resolution for these images range from 15- to 60-meter pixels. Data collected from these satellites is broad at both spatial and temporal scales and used for a number of purposes. Researchers from the University of Montana recently released a new online program known as the Rangeland Analysis Platform, or RAP, as an innovative rangeland monitoring tool that uses this satellite imagery. This online platform allows users to track changes in vegetation and bare ground cover over a landscape from 1984 to the present at 30 meter resolution pixels. Researchers developed this program by correlating values from satellite images with rangeland monitoring information at over 31,000 data points throughout the western USA. The combination of data from satellites and on-the-ground points allowed the researchers to develop algorithms that annually estimate the cover of perennial plant, annual plant, shrub, tree, and bare ground cover across a landscape. The RAP provides a valuable tool for rangeland visualization and large-scale data retrieval. The program was designed to be used in conjunction with local knowledge and other rangeland monitoring data collection to improve management actions and track changes. For rangeland managers, there are many potential applications for this program (Figure 1). For example, the program can track the expansion of eastern red cedar (i.e., tree cover) into grasslands in central and eastern Nebraska and provide managers visual and numerical estimates of tree cover increases over time or decreases because of specific management practices. Managers can also identify pasture areas with greater amounts of bare ground and incorporate these values into management plans that address opportunities to increase cover of perennial grass species. Figure 1. Screen shot of a map generated by the Rangeland Analysis Platform showing estimated tree cover at the Nebraska National Forest at Halsey. Visit the RAP website for more information. 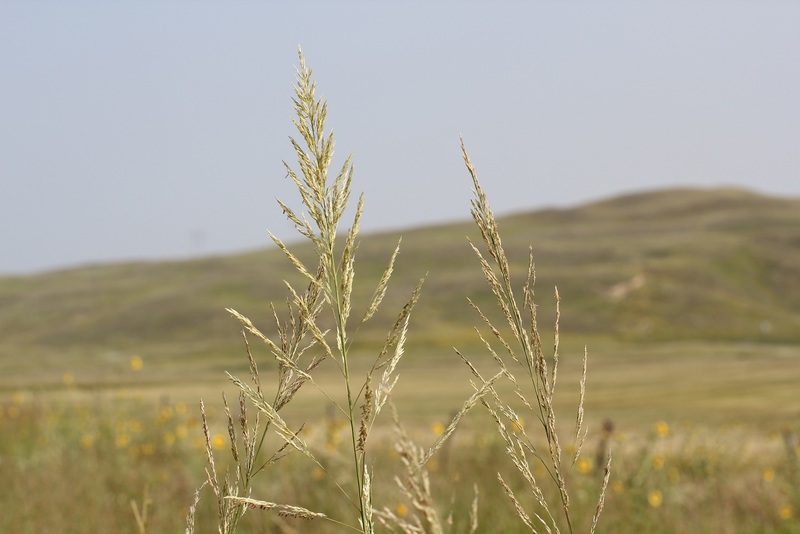 Grass-Cast is another program released last year that uses satellite data to provide information for ranchers in the northern Great Plains on estimated increases or decreases for the long-term mean total plant production based on current weather projections. The researchers that developed Grass-Cast used a combination of observed and forecasted weather, evapotranspiration, a normalized difference vegetation index (or NDVI, a land greenness value collected using satellite sensor data), and known relationships between historical weather data and grassland production to generate forecasts for predicted total plant biomass during the growing season at the county level (Figure 2). Grass-Cast provides a tool ranchers can use to make data-driven estimates on plant production for the upcoming growing season to plan for critical drought decision dates, annual pasture stocking rates, grazing rotations. Figure 2. Output for the Grass-Cast map on July 31, 2018 showing final growing season estimates for increases or decreases from the long-term mean for total plant biomass in the northern Great Plains. Map acquired from the Grass-Cast website on February 28, 2018. Visit the Grass-Cast website for more information. The RAP and Grass-Cast programs provide ranchers opportunities to obtain information across their whole ranch from the comfort of their office computer to better visualize, understand, and manage their rangelands. With this information, producers can identify key areas to conduct more intensive rangeland monitoring to determine how rangeland plant communities compare with reference plant communities and how current management practices are affecting rangeland health at specific locations. These programs are not meant to take the place of on-the-ground monitoring and management, but they provide tools for the rancher tool kit to assist in the adaptive management of rangelands. For more information, the linked websites have webinars and trainings for how to use the programs.